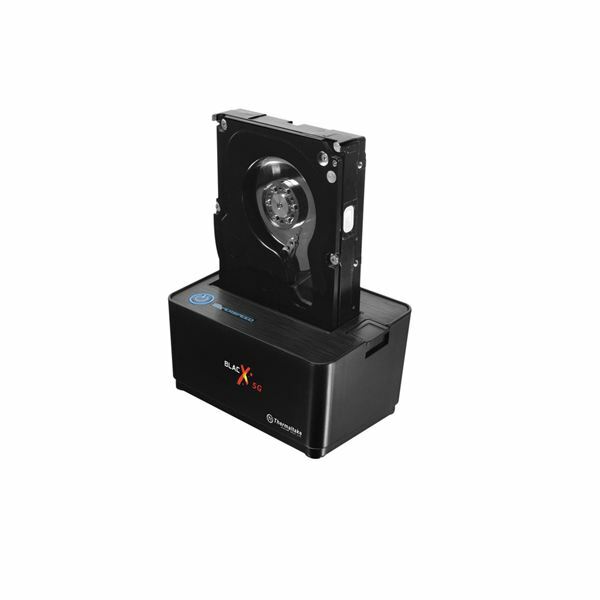 The Blacx is one of Thermaltakes most popular computer accessories. 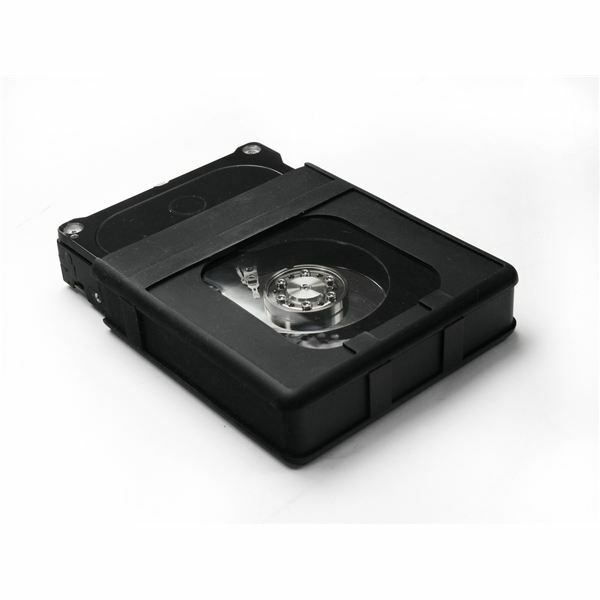 It provides a way too hook up a SATA hard drive to USB 2.0 or eSATA. Now with USB 3.0 becoming more and more a fixture on new motherboards and laptops, it was time for Thermaltake to rethink the Blacx. The new Blacx 5G is a combination of Thermaltake innovation, customer feedback and new technology. At first glance you can see this is a different device. 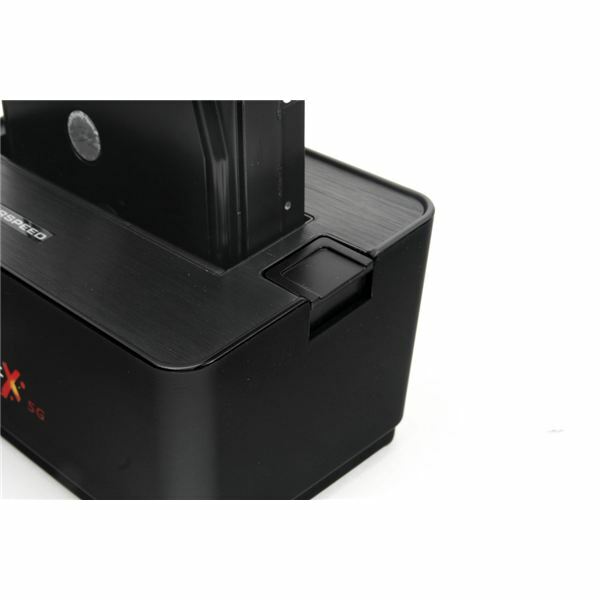 The power button is now on top of the Blacx 5G, the drive access light is now the word superspeed. The device is sloped slightly less then the original Blacx. The button for drive ejection is now on the side of the device, in fact there has been a complete overhaul of the eject mechanism, the original had the button on the front. 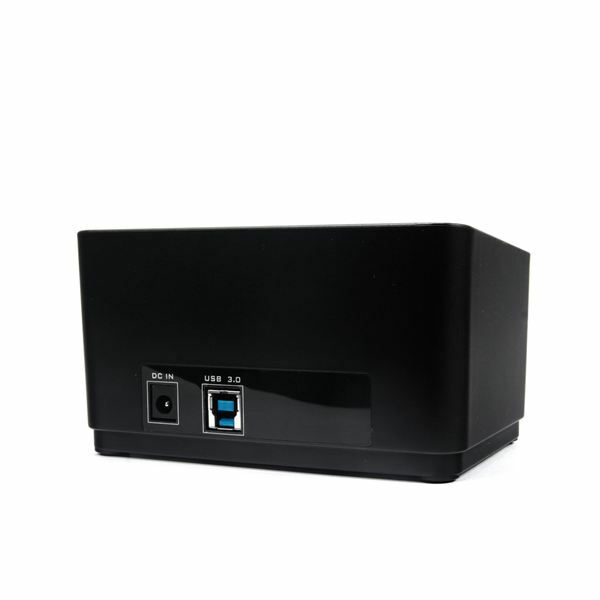 No eSATA port on the new Blacx 5G, this would be over kill given the speed specifications of USB 3.0. The new Blacx 5G has an aluminum inlay. They have changed the placement of the slot that the hard drives slide into, because of this the new hard drive dock is lighter than its predecessor. 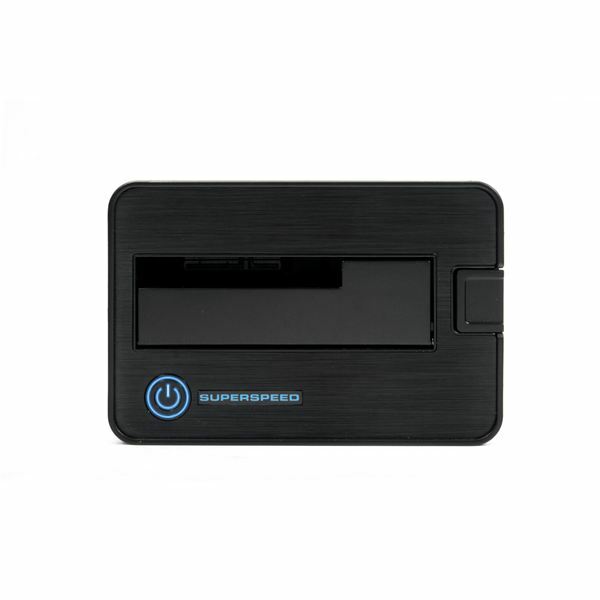 The reason for using three ExpressCards is to rule out the chipset, and card, used as a possible cause for lower speeds. USB 3.0 is said to be ten times faster then USB 2.0, but is this true? I decided to run some benchmarks, I was initially going to publish both HDTach RW results as well as PCMark Vantage result. After finding out that I needed to run HDTach in compatibility mode in Windows 7 I decided not to publish the result, as they could be seen by some to not be reliable enough. Also the HDTach benchmark is not very exciting it just tests the read and write speeds and the burst speed. It doesn’t look at real life uses of the hard drive and its dock. PCMark Vantage comes up with a point score and the break down of the tests show real life speeds, all of which I will publish here. When I wrote my article about the original Blacx I didn’t perform any benchmarks so for comparison and accuracy I did one now. 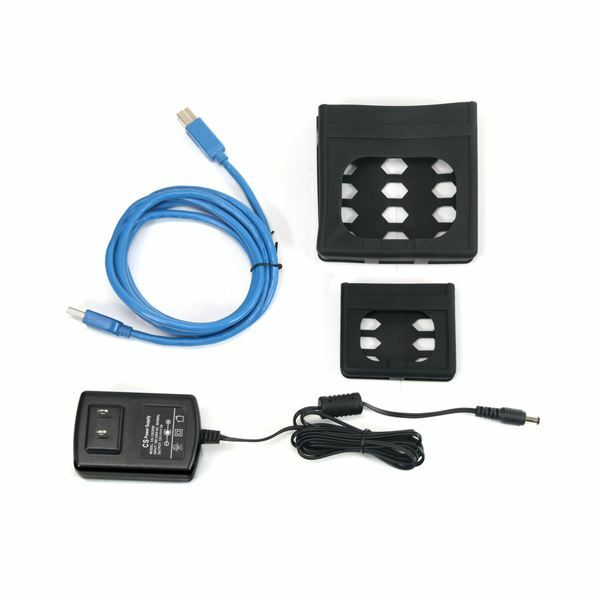 For these tests no expresscard was used as the laptop came with USB 2.0 ports. 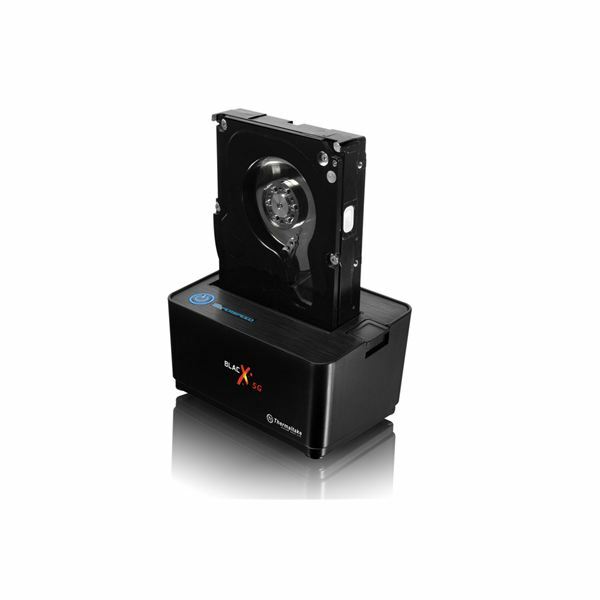 The Blacx got a point score of 2205, a very respectable score for a USB 2.0 hard drive dock. Now that we have a score to compare to we can start bechmarking the new Blacx 5G. From these benchmarks we can conclude that the new Blacx 5G is 64.4% faster than the original Blacx. I can’t speak for any other USB 3.0 hard drive docks but in this case it is definitely worth buying the Blacx 5G over the Blacx. 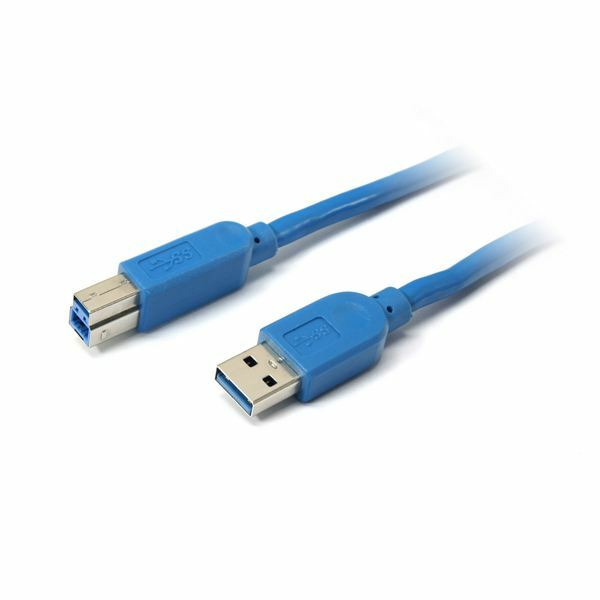 Even if your desktop computer or laptop doesn’t have USB 3.0 ports. 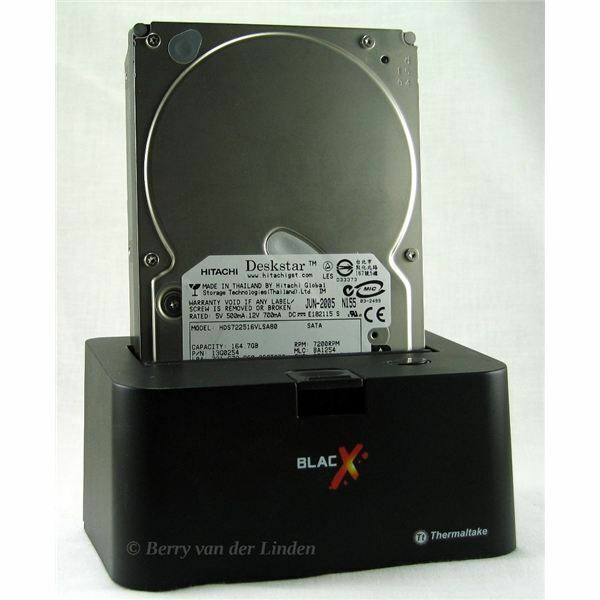 For more information about the Blacx 5G visit the ThermalTake Website.